Please join us for the first PTA Meeting of the year on Wednesday, Sept. 21, 7-8:45 in the Auditorium. You'll get updates from Director Randy Collins and Acting Principal Tony Fisher, meet the new PTA Board and hear from new Annual Fund Co-Chairs Seth Hulkower and Richard Markowitz. 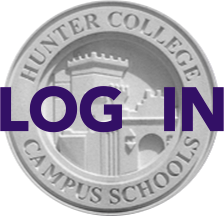 Then the faculty chairs will present information on the Hunter curriculum and how your students can make the most of it. Please send your questions in advance to PTA Programming Chair Ayelet Sela at programming@hunterpta.org (there will not be time for open Q&A). Refreshments will be served in the lobby at 6:30 (food is not allowed in the auditorium). Minivan service will be provided to Queens after the meeting; please RSVP to century3000nyc@gmail.com by noon Tuesday. Pre-meetings at 6 p.m. are: Sports Overview by Atheletic Director Neil Potter in the Auditorium; Grade 12 Night (a preview of the year's special events; check at the front desk for the room); Grade Rep/Committee meetings as planned.